I was going through some older photo sessions today and happened upon this gem. This photo was from a session I did almost 2 years ago. There were four kiddos ages 2 and younger. Grandma wanted a photo of all the grandkids while they were visiting from out of town. The only time everyone was going to be available was a couple hours one early evening. And it was November, so it was cold and dark so our only option were indoor photos. However, the home was a gorgeous old Victorian (swoon) so it definitely had lots of beautiful backdrops. However, as you can expect, trying to get four little ones to sit still for ONE photo together is almost impossible. I got lots of individual shots. 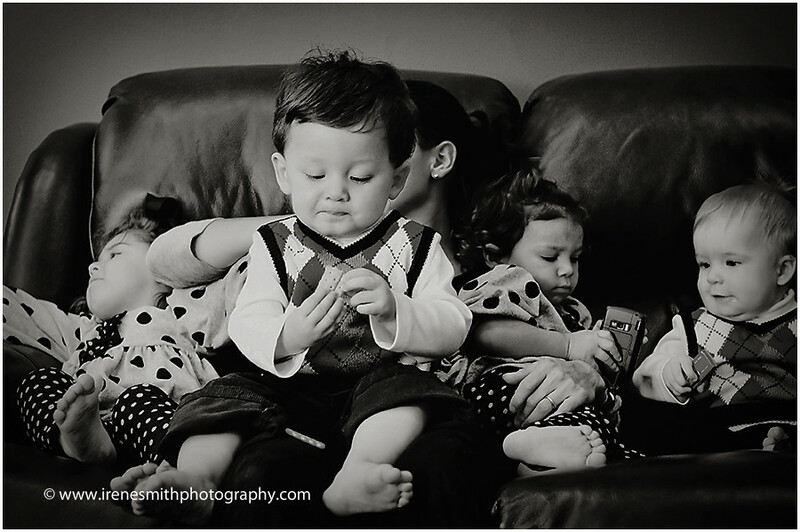 And finally at the end, we made a last ditch effort to corral all the munchkins together on a couch. It was pretty like trying to keep a pile of puppies in a box. You get one in, and two jump out. But we did get ONE photo of all kiddos together. And grandma was just thrilled. I just LOVE this outtake. I think it just sums up the evening of craziness! Too funny!!!! !